Hi there! Thanks for visiting! I love to post recipes, stories, and fun activities for you and your kids. Why not hang around? Like us on facebook, subscribe by email, or follow us on pinterest to be sure you don’t miss an update! I hate cooking with my kid. I love cooking with my kid. You understand, right? 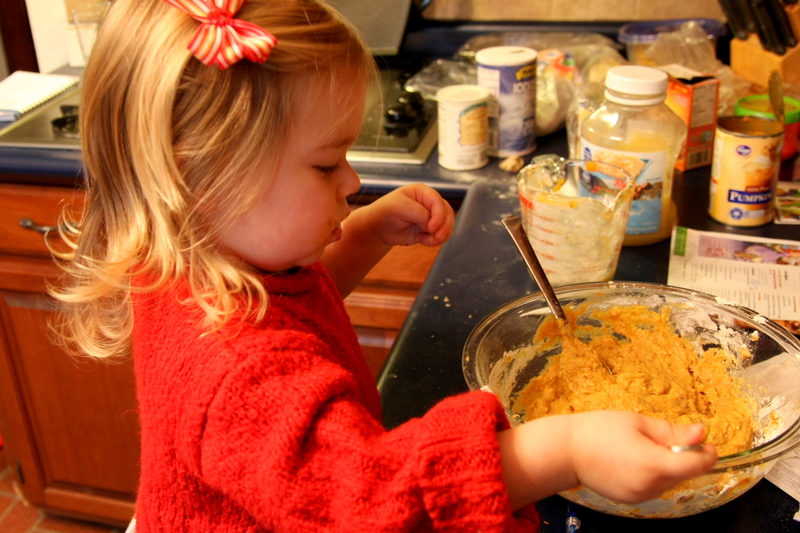 When my two-year-old helps me bake or cook, she’s even more messy than I am (and that’s saying something). And it takes forever. And she likes to double dip. In my batter. With raw eggs. But we have so much fun! She loves to be mommy’s helper! And why else do we have a dog if not to let the dog do the first round of clean up when an entire cup of flour gets spilled all over the kitchen floor? A few weeks ago, I found a recipe in Family Fun magazine called “Better-For-You Muffins.” The ingredients were normal. The directions were simple. So we decided to give it a try…with a few adjustments that, in my opinion, made our muffins even better. Heat oven to 350. Grease bottom only of muffin cups. They’re pretty moist, so I suggest refrigerating them if you don’t eat them all right away! Another adjustment would be to add a touch more flour. And, just for the record, if we ever bake for you, I won’t let her double dip. I’m thoughtful like that. Want more recipes? Check out our kid-friendly food board on pinterest! I made these. We have a Family Fun cook book that I still use all of the time. Yum! Will have to try your adjustments. I was so excited when I saw this recipe in my Family Fun magazine! Then I lost it and couldn’t find it on their website. So I did a search and YAY, here it is! I subbed 2 cups gluten free flour and 1/2 cup flax seed meal for the flour (the kiddos and I are gluten intolerant) and used 1/2 banana for the sugar in these and they were awesome! I used real eggs from our own backyard free range chickens. Those changes sound awesome! (I’ll have to share your changes with my gluten-free friends.) And banana for the sugar? Brilliant! Thanks for sharing! Made these muffins twice now! Wonderfully tasty & simple recipe. Thanks for sharing. 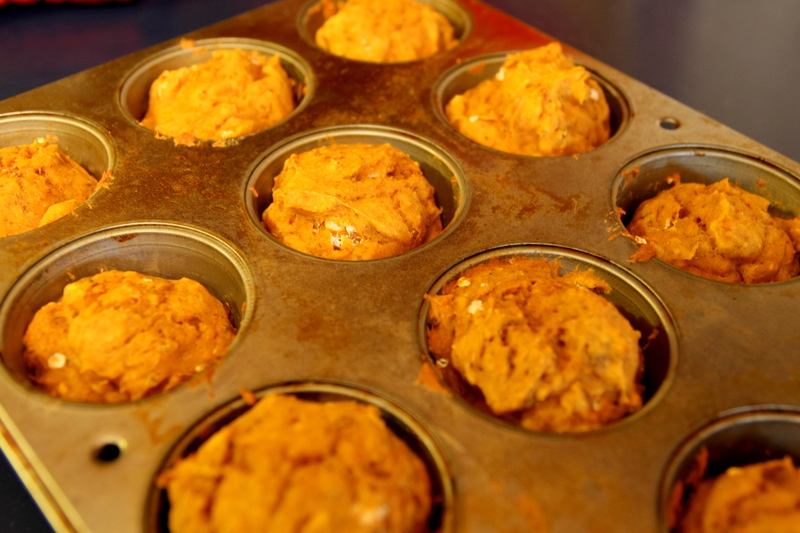 Pingback: Healthy Pumpkin Muffin Recipe--Easy to make and no oil!